Booking season is upon us, huh? So many brides are planning so far in advance, I guess that is how to do it these days. 2014 is always quickly filling up, and oh wait, some 2015 brides on the books? Oh ya. These past few weeks of summer have been madness and it is only going to get more exciting when I gear up for way too many weddings in definitely not enough weeks. I'm couldn't be more excited. While things get in order, I thought I'd share a few recent snapshots from Instagram. I'll be posting more photos of this soon, but last week I was showering one of my besties. Her wedding is a few short weeks away! I've been doing site visit after site visit and this time I was taking through amazing redwood trees. Can't beat California. Just saying. I had a weekend off, so I decided to throw a little dinner party of my own. Complete with wrapped breads and some amazing Linnea Carta napkins. I topped off the weekend picking up brass candle sticks from my favorite florist Floral Theory. I could just sit and stare at her collection all day. Luckily we narrowed down the 30 we are bringing to Italy to dot the tablescape. I hope you all are enjoying this weather more than I am. I just can't wait for some boots, fires in the fireplace, and to get all wrapped up in a blanket. I'm definitely ready for fall....or rather Indian Summer followed by the 50 degree days we like to call Winter. Aside from running a blog, I am also the co-founder of The Lab Event, a totally awesome bridal event. Our last event was held last January in Sonoma at Cline Cellars! This year we had a popup shop for the first time ever designed by the girls at Going Lovely. The popup shop had a selection of handmade wedding goods including tassels from EverlyLane, wood jewelry from Bird of Virtue, awesome bags from Hiip SF, bridal accessories from Lovely Ever After, tons of garlands from Le Petite Fest, and of course everything your man needs to look his best from Bonobos. Thanks to the girls at Going Lovely for designing such a fun space for attendees to shop! Photography by one of my favorite Sonoma photographers Megan Clouse! Things have been brewing over here at the Engaged & Inspired headquarters! And today I am excited to announce something that has been in the works for some time now, our first wedding planning workshop. This unique workshop was created with a focus on brides and how to best help you plan your perfect wedding. We realize not everyone has the budget to hire a full-service planner but that doesn't mean you should have to deal with all the stress of planning all by yourself. This workshop has been specially designed using the process we take each of our full service clients though. We have thought about every piece of the wedding planning process and handcrafted an intensive workshop to plan your perfect wedding without so much stress. We will provide you with a book of information you can refer to long after the workshop is over, unlimited correspondence with Engaged & Inspired for questions and recommendations, tons of design visuals, lunch & catering tastings, and of course a bag full of goodies to take home with you! You will have the opportunity to ask questions, discuss the process with other brides and meet some top wedding vendors in the area, and plan your wedding with much support. Our first workshop is designed around the Carmel area (but not exclusive to it) and is best geared toward last 2013 and 2014 brides. Since we are having a destination wedding many of our guests will be arriving Friday evening before the wedding to get settled. This is one of my favorite things about destinations weddings because everyone gets in the party mood and relaxes like a mini vacation. To get everyone acquainted with the town we are getting married in, I will be putting together welcome baskets with a few goodies. But here's my question, what should I put in them? Right now I'm thinking a map of the town, a couple water bottles, some snacks, and maybe a few Advil. But I'd love your help to think of fun things to put in them. Share in the comments! Survey Time :: Help Us + Win! As some of you might know by now, Engaged & Inspired is getting a facelift. We aren't just making it over, we are rebuilding from the ground up to create the perfect place to find inspiration and vendors for your wedding day. And to make it the perfect place for you, we want to know a little bit about you! What makes you come back, how do you plan your wedding, and what do you want more of. With a little bit of your help we could do big things! Afterall, the only reason Engaged & Inspired is here is to help you. And if I'm not doing that, it is time to change things up! (But hopefully I am!) Click here to fill out our survey! And to make it even more worth your while, these fabulous prizes are up for grabs! 5 people will win our Engaged & Inspired tote bag! Go forth and fill out our survey! 3 years ago this month I was getting ready to launch Engaged & Inspired. I had been engaged for a month and I was over the moon about starting this venture of mine. At that time my concept of "made it" was to be running this blog full time, doing what I love. Fast forward 3 years. I'm in a place where I do this full time, yet I feel so far from "making it". Hence this little gem of a quote resounding so much with me I feel the urge to write an entire post about it. Truth be told, so many parts of Engaged & Inspired aren't what I want them to be. They were great at one time but as I continue to move forward and grow as a person and a brand, the only word I feel properly describes my felling is "stodgy". Which, yes, is the worst feeling to have about something you worked so hard to create. No one gets that as much as I.
I feel there will always be different levels of "making it" and that is what makes companies so great. There is always a new challenge, a new level and if your work is great, you will always look back on the earlier stuff cringing. And that is growth. I haven't had very much time in this new year to reflect & set goals just yet. (Thanks to The Lab & speaking at Alt Summit....so believe me, I'm not complaining!) Despite all the work and long hours I have been putting in this month, this quote and the future of Engaged & Inspired have taken up every free second I can possibly muster. Since I am not one of those people that dwells in the woes of life, or writes posts to collect sympathy, I won't leave on such a note. The new site design is coming soon, and with that comes some major changes, additions, and of course work to be done. The fact that this place isn't exactly what I want it to be pushes me even harder and drives me even more every single day because it will become (very soon in fact) the most perfect place for me and the most perfect place to cultivate and grow this brand of mine. Despite it all I have seen tremendous growth in the past year and I send out my sincerest thank you to each and every one of you. Thanks for finding something to love and finding something to come back for. I'm extremely excited for the future, the possibilities and for the opportunity to call myself a full-time blogger. Not many people have the luxury to do so, and even more people can't even begin to understand everything that a title like that means. I will say it with pride and never again think that such a title isn't good enough. It is. The Lab iPhone App is Here! I know we have unofficially announced this, but today, for real, our iPhone app is officially LIVE and up for grabs! Download it here. For the past I don't know how many months I have been working on this little project of mine. And finally, it is time to share it with the world. As I said in my last post, I am oh so very serious about helping brides connect with the perfect vendors for them. Finding vendors doesn't have to take as much time and stress as it currently does. This app was created to eliminate this insanely time consuming process and make it easier than ever to find your perfect fit. See something you like while at the event? Easily favorite the vendor who created it, or better yet, send them an email right then and there to ensure you don't forget to get in contact with them. 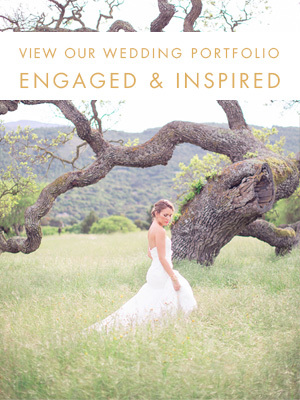 We have it all, and we want to share it with you brides! Not going to be able to go to The Lab? No problem, you can still look through all the portfolios of our fabulous vendors! Download it here. The Lab Event is just a handful of days away! Engaged or know someone who is?? This event is something you won't want to miss. Get inspired, find your vendors and have way too much fun. Get your tickets now. We have big dreams for this baby of ours, first and foremost, we are expanding! The Lab is no longer San Francisco specific, in fact we are on our way in putting together a 10 city tour of events. Yes, we will be traveling to 10 cities bringing all the goodness of our event to other areas. And hopefully will be headed to your city! Want The Lab in your neck of the woods? Simply email us (with your city as the subject) letting us know where you want us to come. We will announce the final city lineup in January! Vendors: Want to be a part of The Lab in your city? Email us letting us know where you want us to come and that you'd like to be involved! We are looking for the best of the best in the industry and would love to hear from you.